JASA Employees Assault and Harass Protesters at Mini Rally for Fersedy. 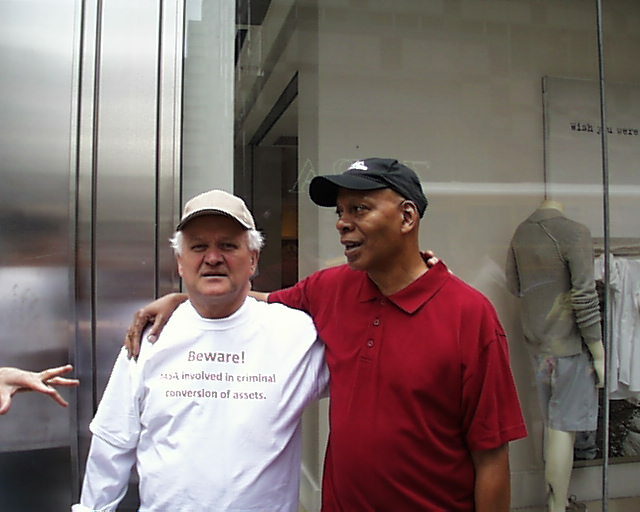 June 16 - The Mini Rally for Mircea Fersedy, known as"Mike", at the corner of East 59th Street and Park Avenue was effective in bringing the plight of Mr. Fersedy to the attention of a significant number of those associated with the Jewish Association for Services for the Aged, "JASA". Hysteria best describes the reaction of JASA personnel who were holding an event at the UJA office nearby on East 59 Street. Workers employed at the 31st Street office of JASA were called up to confront Mr. Fersedy and his supporters. They attempted to stop the distribution of flyers and to have Fresedy remove his shirt imprinted with the message, "Beware! 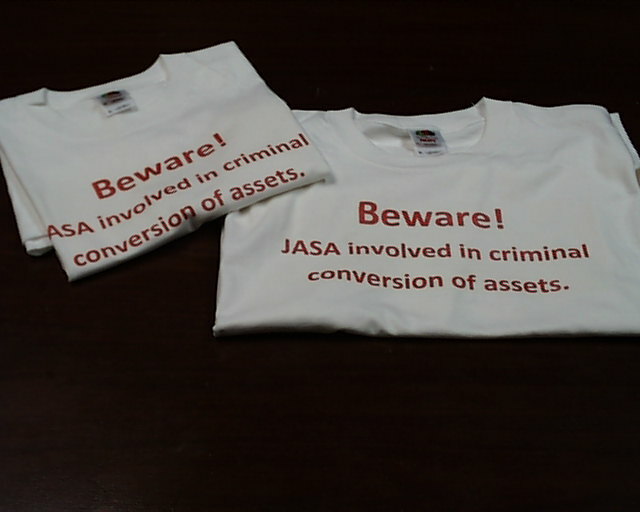 JASA involved in criminal conversion of assets." 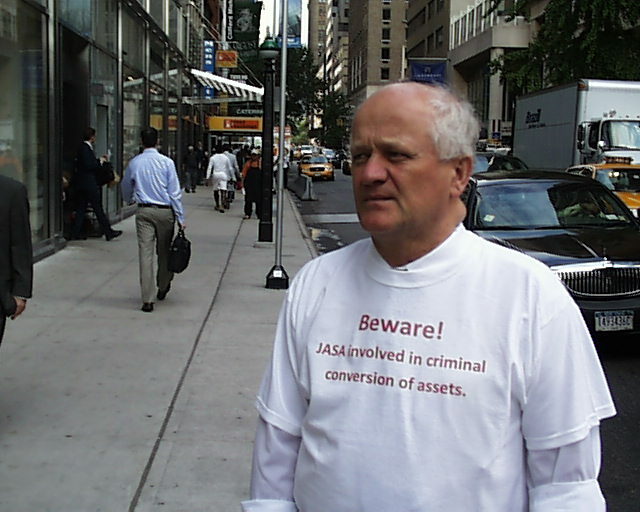 One of the JASA employees assaulted Fersedy and a supporter attempting to confiscate flyers that were being distributed to the public. Fresedy was struck in the head and the JASA employee said, "I'm not affraid of you." Fersedy and supporters were even followed into the subway when they were leaving the rally. JASA employess were observing, recording and reporting every move of Fersedy and his supporters via cell phone. Fersedy was hoping to sound a moral alarm to the charity's board of directors and management regarding the organization's involvement in the criminal conversion of his assets for participating in a guardianship matter before Supreme Court in Queens County, New York. Fersedy, a Romanian Jew, is pointing to the moral law of the TORAH demanding that JASA act in accordance with the Holy Scriptures and terminate it's relationship with those seeking to confiscate his home in Astoria through a sham guardianship proceeding.